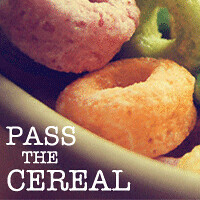 Pass the Cereal: Reminder of our School Supply Drive! Reminder of our School Supply Drive! If you can we would love it if you could help us help some deserving kids in Guatemala!!! This is such a great opportunity to teach your children about helping other children. School is free in Guatemala but the prices of uniforms & school supplies make schooling unattainable for most families. This is a situation where donations of any amount make all the difference. I'll bring stuff to the next bible study. FYI- Change "attainable" to "unattainable" Sorry, I'm a freak.